Zenith Altitude offers technical services includes computer-aided design, structural analysis, aerodynamic load analysis, damage tolerance analysis, integration of aeronautical products for general aviation (mostly FAR 23 & 27) and related technical support for the manufacturing of parts and assemblies, and finally, demonstration of compliance of aeronautical products to industry standards including the drafting of reports to obtain certification with Transport Canada Civil Aviation. 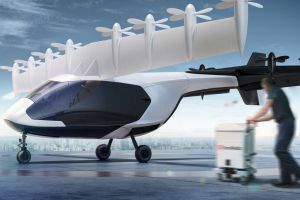 The company is now also leading a research and development (R&D) effort for an eVTOL design, which is a tiltwing with 8 electric propellers on the wing, augmented by four on the tail. The two surfaces tilt from vertical for takeoff and landing to horizontal for high speed cruise. The aircraft is targeted for rapid transportation of human organs. A groundbreaking ceremony was held in late April 2018 at the Parc scientifique Bromont – Bromont Science Park for a new building for the Zenith Altitude R&D team developing the new electric aircraft. Zenith lists its partners as: OPTIS Ingénierie | Engineering (Sherbrooke), NGC Aerospace Ltd (Sherbrooke), Centre de Technologies Avancées BRP – Université de Sherbrooke (CTA) and Brio Innovation (Laval). Zenith Altitude has specifically designed its Electrically-Powered Optionally-Piloted Powered-Lift Aircraft (EOPA) to meet Lung Biotechnology’s requirements: to transport a pilot, medical technician and organs over a distance of 250 nm (463 km). The company is proceeding to the preliminary design review, which would be followed by prototypes and certification in 2025, if all continues to look promising.